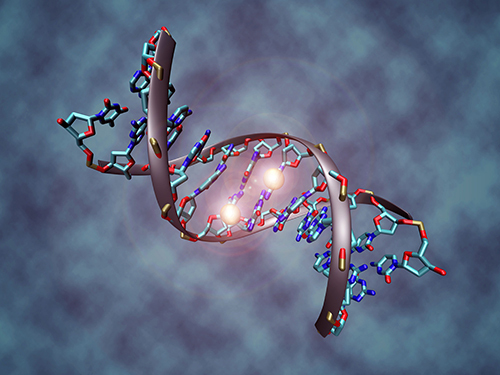 New research published in Proceedings of the National Academy of Sciences shows that DNA methylation can provide effective markers for predicting the prognosis and survival of four cancers. “Choosing the proper cancer treatment with the best chance of recovery and survival depends greatly upon accurately diagnosing the specific type or subtype of cancer,” said Kang Zhang, M.D., Ph.D., founding director of the Institute for Genomic Medicine and co-director of biomaterials and tissue engineering at the Institute of Engineering in Medicine, both at UC San Diego School of Medicine. Dr. Zhang and colleagues studied DNA methylation for differentiating tumor tissue and normal tissue for the four most common cancers (lung, breast, colon, and liver) in three different databases. These included a training cohort of 1619 tumor samples and 173 matched adjacent normal tissue samples; a testing cohort of 791 tumor samples from The Cancer Genome Atlas and 93 matched adjacent normal tissue samples and another independent testing Chinese cohort of 394 tumor samples; and 324 matched adjacent normal tissue samples. They discovered that DNA methylation analysis could predict cancer versus normal tissue with more than 95% accuracy in the three cohorts, comparable to typical diagnostic methods, according to Dr. Zhang. In addition, the analysis correctly identified 97% colorectal cancer metastases to the liver and 94% colorectal cancer metastases to the lung. “Since 10% of cancers present as metastatic lesions or cancers of unknown primary origin, identification of tissue of origin is critical for choosing a correct therapy. This new simple method will be of great value to pinpoint the primary source of the tumor,” said Michael Karin, Ph.D., co-senior author of the study and distinguished professor of pharmacology, also at UC San Diego School of Medicine. Dr. Zhang believes DNA methylation could improve outcomes by providing more accurate diagnoses, particularly of relatively indolent or aggressive tumors that may require more or less aggressive treatment. He said more studies are planned to fully explore the clinical applications and potential of DNA methylation and its role in future personalized cancer care.